Nostalgic about your first flip phone? Once the notorious producer of the classic Razr, Motorola is rumoured to be re-inventing the range to introduce a fold-able addition. Just as Samsung and Royole have show-cased their fold-able devices this year, Motorola is rumoured to introduce the Razr V4. This means you’ll be able to watch movies, play games, complete your presentations and more, on a far larger display than ever before on a smartphone device, while being able to fold away for optimum convenience. In contrast to the Samsung Galaxy Fold that opens and closes like a book, the Razr V4 is speculated to feature a clam-shell design to which a fold-able OLED display is embedded. Rumours suggest the new device will incorporate a fingerprint sensor and dual cameras, while folding down to just 7.5mm! The Razr resembles the iconic flip design of the original handset, including the secondary screen on the outside of the casing for a quick time check and convenient notifications. Rumoured specs continue to impress with suggestions that Motorola will employ the Qualcomm Snapdragon 710 system-on-a-chip coupled with 4GB of RAM and 64GB of storage, alongside a second version offering 6GB of RAM and 128GB of storage. It’s likely the Razr V4 will be released by May in order to keep up with competitors. Check back at the CMM Blog for updates. Rumour has it, Apple will be revealing their all-new Augmented Reality (AR) glasses at the end of this year, with the wearable hitting the shelves in 2020. Apple’s AR glasses will work alongside the Apple iPhone, allowing you to view digital items on top of your real-world surroundings. It’s perhaps no surprise that Apple will be getting aboard the AR wearable trend after Microsoft’s attempt with HoloLens and Google’s ‘Google Glass’. If whispers are true, the Apple glasses could transform your everyday life and professional capabilities. AR allows you to ‘see’ the world from your living room. If combined with a mobile travel app, you’ll be able to receive the latest cultural experience and engage with the tourism and travel sector in completely new ways. Planning your next trip? Immerse yourself within different areas and pick your favourite before packing your bags, whether you choose to climb the Eiffel Tower or gaze at the Colosseum. Arrived at your destination? Save time and hassle by layering your very own virtual travel guide into the physical world while you explore. Or aid training and planning, from simulating military training that may normally exposure individuals to dangerous environments to improving the confidence of children with ‘make-believe’ situations. AR could also enable sophisticated feedback to trainees during specific tasks, improving efficiency and trainee judgements of their abilities. The possibilities are endless. AR technology was first introduced by Apple with the release of iOS 11 that incorporated AR apps. The apps allow for interactive gaming, immersive shopping experiences, industrial design and more. By example, Ikea unveiled their AR app ‘IKEA Place’, built on Apple’s ARKit technology. From coffee tables to armchairs, you can choose from over 2,000 products that are 3D and true to scale, allowing you to experiment with different furniture and see how it would look and fit in your home. “IKEA Place makes it easier to make buying decisions in your own place, to get inspired and try many different products, styles and colors in real-life settings with a swipe of your finger. 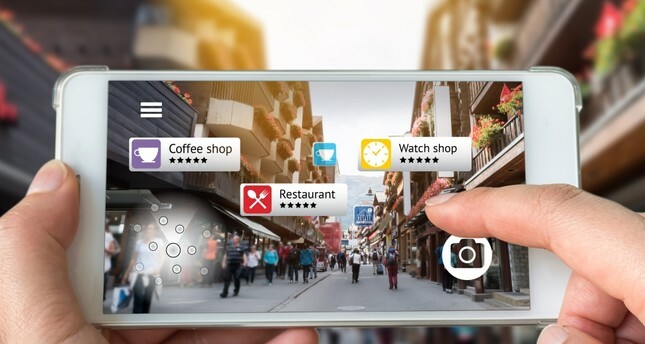 Augmented reality and virtual reality will be a total game changer for retail in the same way as the internet. Only this time, much faster,” – Michael Valdsgaard, Leader Digital Transformation at Inter IKEA Systems. The apps work using a combination of the built-in camera, powerful processors and motions sensors in the new iPhones. Rumours suggest the AR wearable will also work alongside your iPhone, more or less like the Apple watch. It’s likely the glasses will act as the display, embedded with sensors, while your iPhone powers the necessary connectivity, location services and computing, although Apple is yet to release any concrete details. For rumour updates on the Apple AR headset, check back at the CMM blog! The RPI is a widely recognised measure of the UK’s general level of inflation and is used by many industries as a guide on whether to adjust prices, and by how much. From the 1st April 2019, small businesses will be subject to a 2.7% price increase in line with the rate published by the Office for National Statistics this year. If you are on a consumer price plan, the increase will be in line with the Retail Price Index for consumer contracts published later this month, the details of which will be shared as soon as they are available. We understand it’s never popular to see mid-contract price rises introduced. However, the UK continues to be one of the most competitive markets in the world and these changes will allow Vodafone and O2 to continue to invest in, and improve, their UK-wide network, to offer you the best quality of service possible. The actual adjustment is dictated by the RPI rate published by the Office of National Statistics in March (consumer contracts) and January (business plans) each year. What if I have a discount? RPI is applied to your monthly fee, before the discount is applied. If you have any questions regarding these changes, please do not hesitate to get in touch. You can email our team via sales@cmmtelecoms.co.uk or phone 01252 854352, we are always more than happy to help! O2 initially planned to roll out 5G in 2020, but has recently announced that 5G will be available in certain cities ahead of time. Consequently, those in Edinburgh, Cardiff, Belfast and London will be able to take advantage of the 5th generation of network this year. 5G is expected to dramatically out-do the performance of the current 3G and 4G networks. Capable of delivering extremely fast data with estimates between 10 – 50 Gbit/s compared with today’s average 4G download speed of 15 Mbit/s. In fact, back in 2013 Samsung tested 5G at 1Gbps and journalists reported that a HD movie could be downloaded in less than 30 seconds. Fast track to 2014 and Samsung set a mobile speed record of 7.5Gb/s in another 5G trail, while estimates predict the speed will reach 10Gb/s, with transfer rates as high as 800Gb/s further down the line, taking your download time of a full length film to around a second! Vodafone on the other hand won big at the recent 5G spectrum auction and plans to reach an ambitious target of 1 gigabyte per second speeds to its customers at work, at home and everywhere in-between. Vodafone’s desired end result? 1,000 active 5G sites by 2020. Similarly to O2, it seems Vodafone may have accelerated its plans in order to keep up with the competition, with an initial launch planned for 2020 moved to later this year. Vodafone’s roll-out will likely resemble the timeline of 4G which involved a gradual increase in access. In contrast to O2, however, Vodafone’s focus is on rural and urban areas, announcing Cornwall and the Lake District as the two of the first locations to get 5G. Likely to be followed by Birmingham, Bristol, Cardiff, Glasgow, Liverpool, London and Manchester. Similarly, EE has confirmed it will launch 5G in the second half of 2019, in two phases. The first cities include Birmingham, Belfast, Cardiff, Glasgow, Liverpool, London and Manchester, including coverage of the busiest parts of the cities such as London’s Hyde Park, Manchester Airport, Edinburgh Waverly train station, Belfast City Airport, The Welsh Assembly and Birmingham’s Bullring shopping centre. 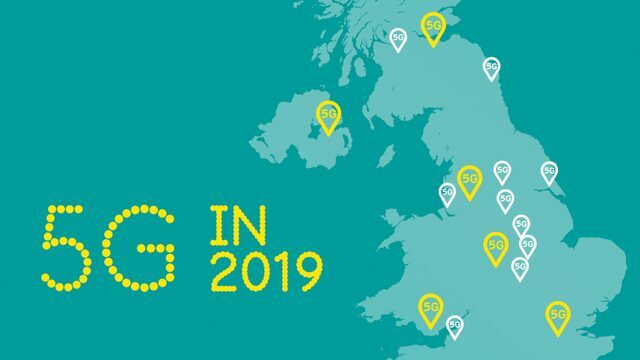 As well as the six launch cities, through 2019 EE will also be introducing 5G across the busiest parts of ten more UK cities: Glasgow, Newcastle, Liverpool, Leeds, Hull, Sheffield, Nottingham, Leicester, Coventry and Bristol. 5G Smartphones will also be introduced alongside EE’s 5G Home router for 5G broadband. For more updates on 5G, check back at the CMM blog.